Rebecca Ann Tess is an artist based in Berlin. Tess studied fine arts at the University of the Arts, Berlin, Chelsea College of Art and Design, London as well as at the Städelschule, Frankfurt am Main, where she graduated in 2009. In 2011 she received the Villa Romana Prize. During a residency in Seoul (South Korea), followed by a two years assistant professorship at the photography dept. at Chung-Ang University, Tess had the time to study mega cities, it’s architecture, the sociopolitical order as well as the influence of implemented smart technology on the city life. In her current project »Alpha++«, Tess takes high-rise architecture and global cities in general as case studies for power structures in the neoliberal age with means of photography and video. During her stay at AiRE, Tess is working on an additional chapter of »Alpha++ Models« – a work in progress consisting of about 100 photographs taken since 2012 in several mega-cities and their outskirts around the world – looking back at the time when Chile was treated as a test-bed of neo-liberal concepts and studying the todays impacts of the Chicago Boys. The title Alpha++ refers initially to the highest possible rating of a global city in the international competition amongst such cities. In the center of this project is the repetitive high-rise architecture of mega-cities and its surrounding landscaped area, which is taken as case studies of power structures in the neo-liberal age. Cecilia Candiani is an Argentinian artist and photographer originally from Córdoba. She is currently living and working in Buenos Aires. She has a degree in mathematics and in photography. Candiani is interested in the relationship between man and device. She is currently investigating the concept of freedom in a world dominated by devices. From the conceptual and the experimentation, Candiani´s photographic project starts from the theory of the philosopher Vílem Flusser who develops the terms “technical image” and “eternal return” which encourages the photographer to investigate the possibility of freedom in a world dominated by devices, to investigate how to deal with the flow of redundant images that move man away from understanding. To develop her project she is using a digital SLR camera, an analog camera (found a few months ago in an antique shop) and a pinhole camera (armed from a matchbox and expired rolls of 35mm color photographic film). 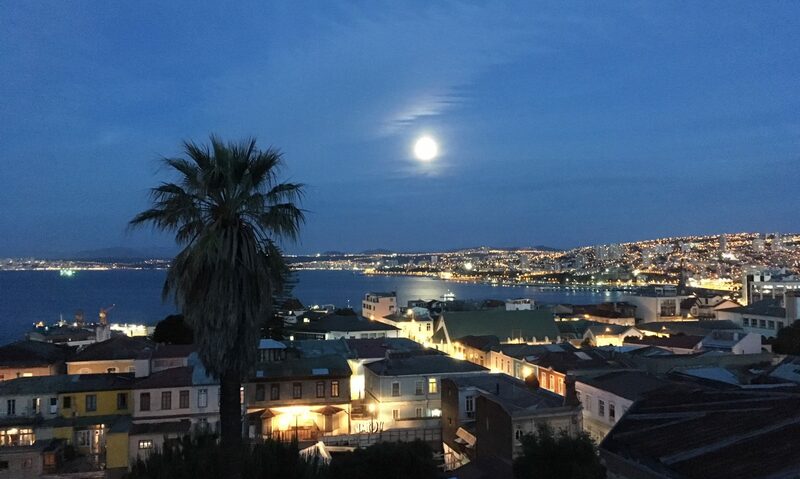 She is photographing the city of Valparaíso. Being in instances of experimentation, some of the photographs obtained are being processed with the programming language R (one of the most used in research by the statistical community).